COMBA Would Like to Welcome our new Diamond Level sponsor, Sussex Insurance. They've got you covered. 2018 18U AAA Sun Devils Win BC Minor Baseball Team of the Year!!! Congratulations to the 18U AAA Kelowna Sun Devils, for winning the BC Baseball 2018 “Team of the Year” award!! 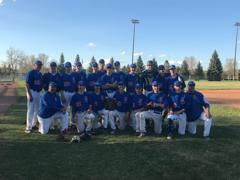 Nathan Ringness – Law, Jaimes Guidon, Matt Fuchs, Blake Badger, David Osborne, Logan Bligh, Tyson Lamb, Connor Lamb, Dreyton Nelmes, Jackson Sowerby, Spencer Klassen, Jordan Laidlaw, Ethan Soroka, Jack Janzen, Adam Renneberg, Brady Renneberg, Carson Moberg, coaches Rob Law, Derek Renneberg and Jeff Bligh. COMBA 2019 Spring Registration is LIVE! Please Note Important Dates and Don't Miss Out!